What!!!! U think this Your Grandfather's Road? Arh. No. I not trading insult with fellow motorist recently although there is some similarity there. 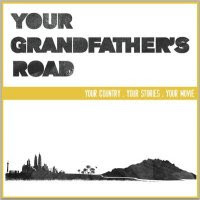 Your Grandfather's Road is basically "about turning YOUR stories, ideas and experiences into a movie BY the people FOR the people" exposing the filmmaking process to film-lovers, amateur storytellers, budding artists, and everyday Malaysians just like you and me.Helm by experienced dudes and gal plus Popiah Picture,Mini Malaysia, creativeunitedmovement on board. It going to be 100 % Malaysian flavor movie thingy.